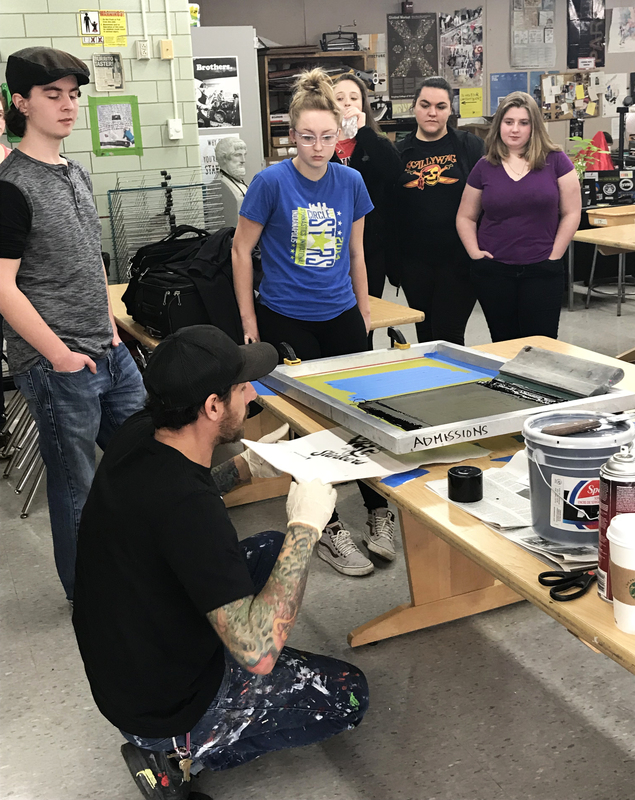 Ms. Schorsch’s Drawing and Printmaking students recently participated in a Screenprinting demonstration and mini-workshop led by Art Academy of Cincinnati Printmaking Professor Matthew Dayler. Dayler’s work has been exhibited nationally and internationally, he is one of the founders of “Higher Level Art’, and a “Xlene” muralist. Admissions Counselor Tyler Hildebrand conferenced with Studio Art AP 2D Design and Drawing students about their Concentration themes and AAC opportunities prior to the Screenprinting presentation.